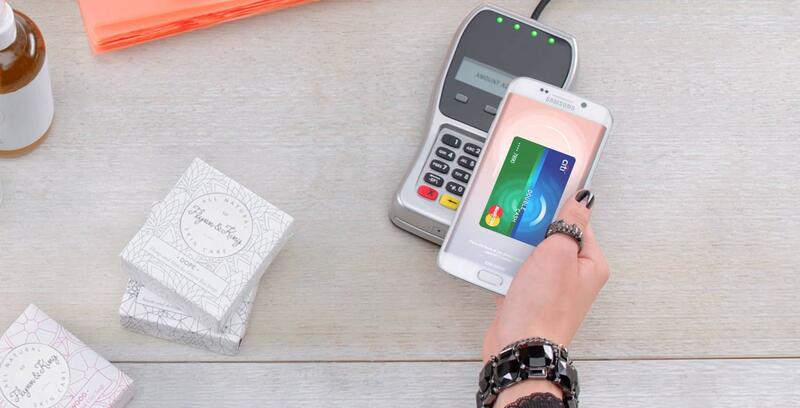 After months of speculation, Samsung has formally announced that its Samsung Pay app is receiving expanded support in Canada. Not only has Samsung partnered with Scotiabank and Alberta-based ATB Financial, but customers can now load their Visa, MasterCard and American Express cards to the app. Additionally, Samsung Pay now fully supports Interac, meaning that customers from CIBC, Scotiabank and ATB Financial can also load their debit cards onto the app. Samsung made the announcement in a tweet. Samsung Pay is only currently available on select Samsung phones, including the Galaxy Note 8, Galaxy S8/S8+, Galaxy S7/S7 edge, the Galaxy S6/S6 edge/S6 edge+, the Galaxy Note 5 and the Galaxy A5. Samsung also confirmed in a November 1st, 2017 media release that Tangerine and Peoples Card Services customers will be able to load their cards onto Samsung Pay soon. Update 01/11/17: Article updated to reflect that Tangerine and Peoples Card Services customers will soon be able to use Samsung Pay.